Extended Full Day (8:00 AM - 6:00 PM) or Full Day (9:00 AM - 3:20PM). 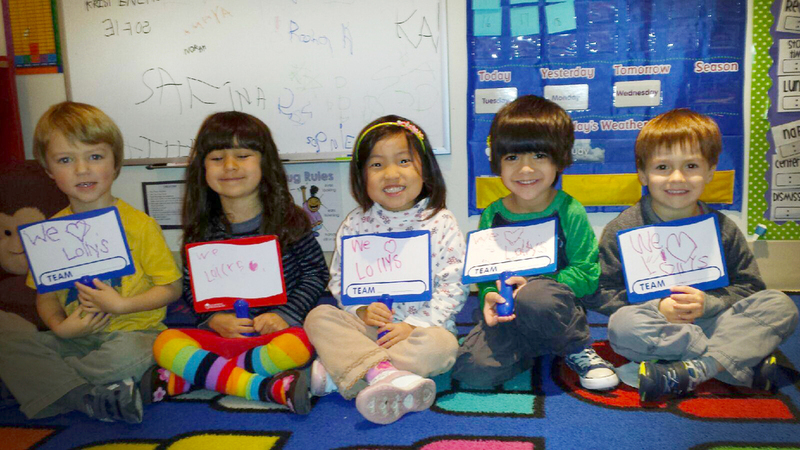 Our 4-5 year old program follows a Universal Pre-Kindergarten (UPK) curriculum and the New York State Board of Educational Guidelines for Academic Success. Lolly’s Pre-Kindergarteners are offered a learning experience which will fully prepare children and families for the transition into elementary school. A print-rich classroom setting allows children to practice literacy skills in real-life experiences. Intentional teaching of key concepts results in the foundation of literacy learning through the implementation of the common core. Advanced concepts such as science, geography, cultural studies, history, math and social studies are explored daily and integrated into a rich curriculum. Lolly’s graduates are prepared to embark upon a future of success. Click below to read an useful guide for parents and what to expect in Universal Pre-Kindergarten.